You can now be informed by email when new issues of HKN are published. To subscribe to this service you can either send an empty email to Topica, or you can use the subscription option on the HKN home page. 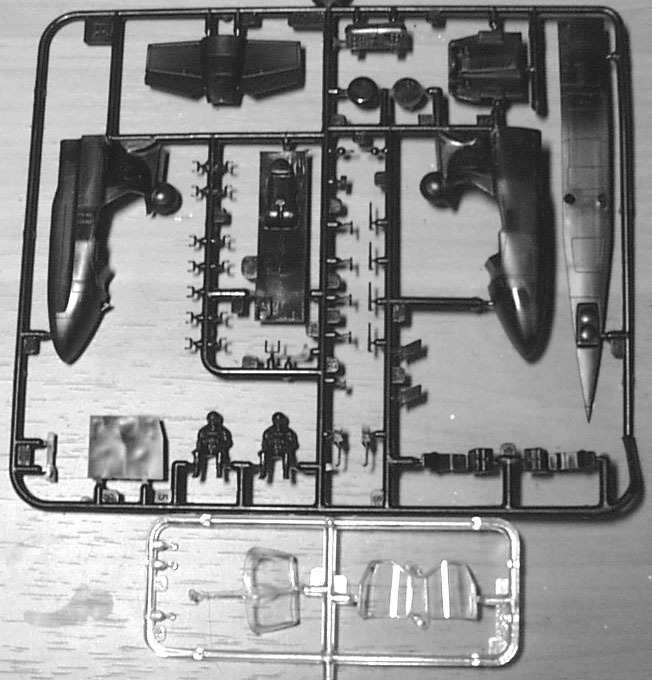 In addition, it appears that there will also be two Hinds in 1:48 scale, an Mi-24D and an Mi-24P. These kits are being moulded in the Czech Republic by MPM, and will include injection moulded parts with detailed resin cockpits. The decals will be produced by Model Alliance and all will include at least one special scheme. 3. The latest news of the other (still un-named) Czech S-76 kits is that as well as the S-76A, B, and C variants, they are intending to make conversion sets for the AUH-76 Eagle (Fantail tail rotor, stub-wing weapons mounts) and A-76B Shadow (nose-mounted crew pod for LHX programme research) variants. Some parts of these kits were available for inspection at a model show in Prague last week. 4. Test shots of Zvezda's new Ka-52 Alligator have been seen in Russia. Once again we are hearing that the quality is most impressive. The release date is being quoted as the end of May. It is also being suggested that these new Zvezda kits will be re-boxed by Italeri, which seems to contradict previous reports of very strained relationships between these two companies. 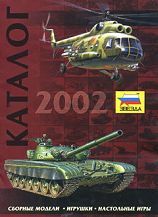 The front cover of the 2002 Zvezda catalogue includes a picture of an Mi-8, but whether or not we'll see this kit this year (or ever) remains shrouded in mystery. 5. Miku have now sold out of all three variants of their 1:72 Ecureuil, as well as the Cheyenne. They are considering a possible re-issue of the Ecureuils, but the Cheyenne will not be seen again in the near future. 6. Extratech are working on a Sikorsky VS-300, and are researching the Kamov Ka-8 and Ka-10. 7. Hobbylink Japan have this to say about Fujimi's #72134 UH-60J Komatsu Base 40th Anniversary Blackhawk; "Most of the special markings will require your own airbrush work". Sounds rather ominous ! 8. In the last issue of HKN it was suggested that Sanger Engineering have dropped their plans to follow up their 1:72 vacform Mi-6 with an Mi-26, an Mi-10, and an Mi-10K. However, I'm told that a catalogue received from them this month still has these listed as future releases for 2002/2003. 9. 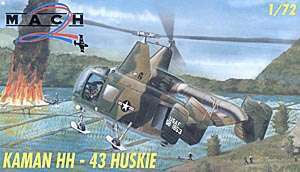 The boxart for Mach 2's forthcoming HH-43 Huskie shows a dramatic scene with something crashed in an inferno of flame in a paddy-field, and Vietnamese people (allegiance unknown) running about in all directions. Thanks to Gary Madgwick, Petr Zaoral, George Filyagin, and Yevgeny Borissov.